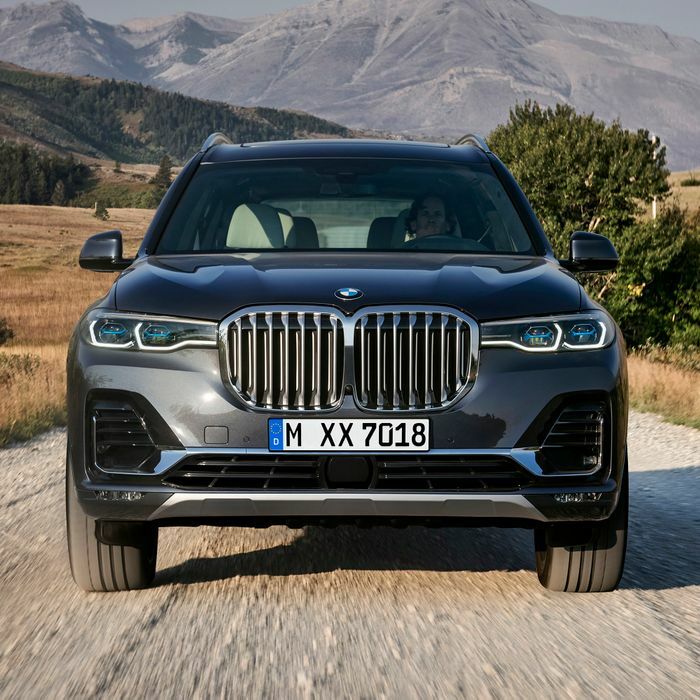 BMW has finally unveiled the production-spec X7 flagship SUV, and its styling is finally out there for all the world to argue about. 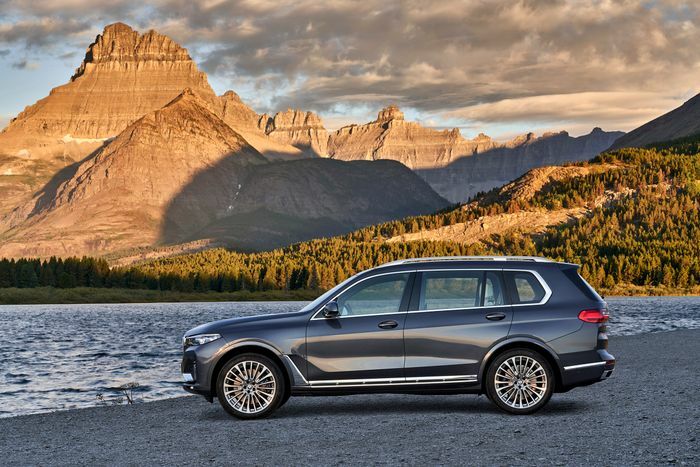 Built primarily to capture high-end business in the vast Chinese market, where business moguls are said to be rapidly switching from saloons to SUVs, or Sports Activity Vehicles (SAVs) in BMW-speak, the styling is apparently quite popular among the Far-Eastern elite. 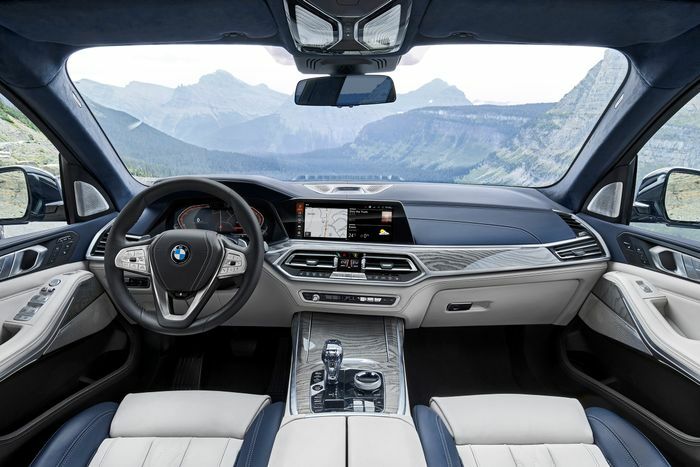 It’s crammed with the best of the tech that BMW can offer, from a third-generation head-up display with more information and a larger display area to an all-digital dashboard made up of two 12.3-inch widescreen units. 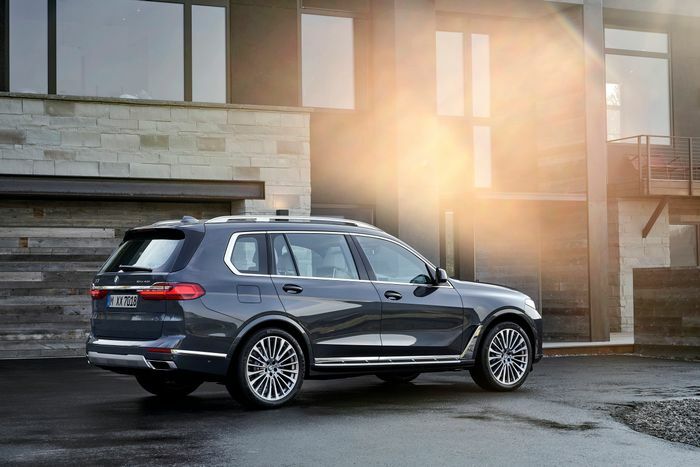 An ambient air package can scent the cabin with any one of eight different fragrances, the central cupholders will heat or cool your choice of beverage and there are six colours of interior ambient light to choose from. Naturally, wireless mobile charging is available too. 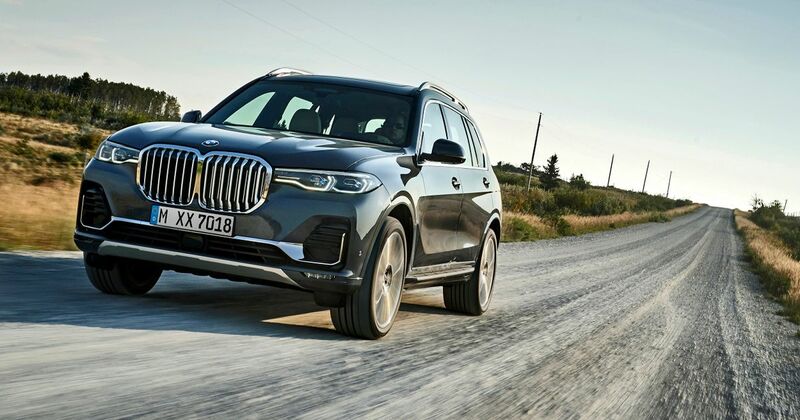 The concept’s ultra-thin headlights have been fattened up slightly but they still use BMW Laserlight LED technology for double the typical LED headlight main beam range. 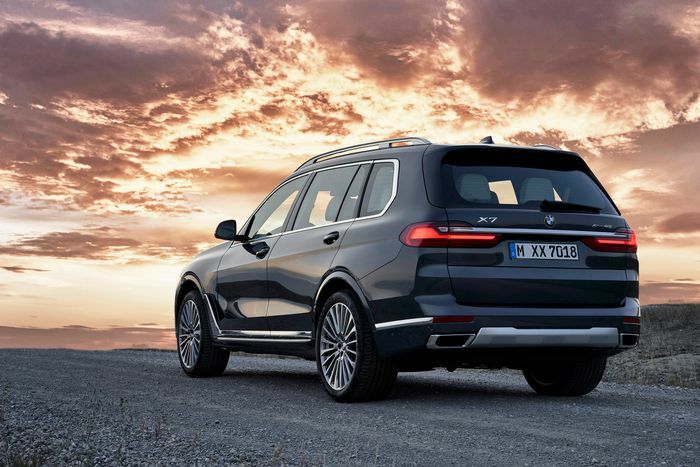 BMW claims that the X7’s high beam is good for 600 metres – over a third of a mile. This is no shrinking violet. The up-to-2.5-tonne beast measures some 5151mm long, 1805mm tall and two metres exactly from side to side; 151mm longer, 31mm lower and 10mm wider than a full-fat Range Rover. Don’t imagine the X7 will be easy to handle in a typical European multi-storey car park. That length does at least provide three rows of seats. BMW says the third row comprises ‘full-size’ seats with armrests, cupholders and USB ports. Optionally, the middle row – a traditional three-seat bench – can be swapped for two individual seats. All seven (or six) seats are electrically adjustable. With all seats in place there’s 326 litres of boot space out back. Standard 20-inch wheels will most likely look tiny beneath the big X, so there are 21- and 22-inch upgrades as well. Air suspension with electronically adjustable dampers will help comfort, but towing capacity is limited to 2200kg (4850lb). Europe will have a choice of 40i, 30d and M50d power options, all linked to all-wheel drive through an eight-speed automatic gearbox. The straight-six 40i boasts 335bhp and over 30mpg, the 30d musters 261bhp with potential for 43.5mpg on the smallest wheels, and the M50d is clearly the performance option with 394bhp and 560lb ft. Lift off the accelerator a lot and you might even get 40mpg, the stats say. Other markets will add the 50i 4.4-litre petrol V8, which has a healthy 456bhp. The ride height can be varied by up to 80mm for light off-road duties. On all models except the M50d there are extremely on-brand off-road driving modes, too, spanning xSand, xGravel, xRocks and xSnow. Each automatically alters the ride height and traction control characteristics, as well as the engine and transmission maps. It seems a little frivolous, given the vulnerability of its large alloys and the stellar unlikelihood that any customer cars will ever see much mud. Regardless, all that anyone is going to want to talk about is that nose. So: over to you.